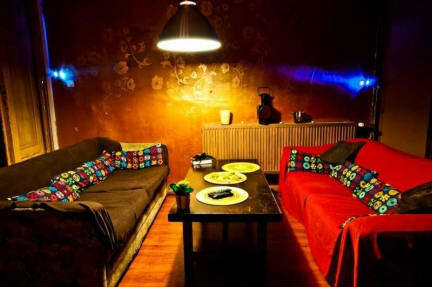 Ars Hostel & Bar i Krakow, Polen: Bestill nå! The coziest hostel we’ve stayed at with unbelievable service! So enthusiastic and bubbly staff. Ah, how I loved them! (and the caramels) We decided on Auswitch way too late, so the receptionist came down 6 in the morning to try to get us some tickets anyway. They played cards with us and remembered our plans, asking how it went. The atmosphere is amazing as most rooms face the common room, making it very easy to start a conversation. Cool people, awesome place. BOOK NOW!